Apple’s big media event is now over and while we all digest that was announced, with new iPhones taking the headlines but updates to the Apple Watch and Apple TV also receiving a debut, there are plenty of smaller arrivals or pre-announcements that shouldn’t be ignored. One of those is the AirPower mat, and while the name is horrendous and the obvious Apple Juice name should surely have prevailed, the wireless charging pad could be a sleeper hit when it finally arrives in 2018. 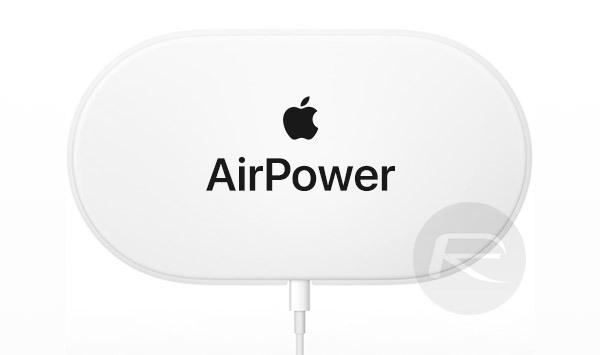 Shown off alongside the new iPhone X and iPhone 8 / iPhone 8 Plus devices, the AirPower is a wireless charging pad that is essentially an oval plastic slab that users can place their devices on and have them charge. Those devices include the new iPhones announced today as well as the Apple Watch Series 3 and a new charging case for the AirPods earphones. Importantly, it will be able to charge all of those at the same time. The theory is that someone deeply ensconced in the Apple ecosystem will charge all of their devices using the one charging pad, and it is not a bad idea at all. Apple says the wireless charging technology used is all-new, but importantly, its new iPhones will also charge via the huge collection of Qi-compatible chargers already on the market. Quite how quickly they will charge when not using Apple’s own pad however, remains to be seen. 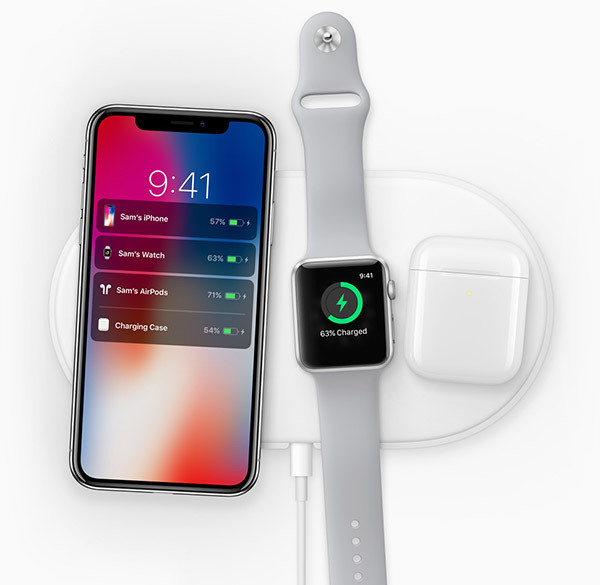 As you might expect, Apple will also be partnering with the likes of Belkin to allow iPhone-specific charging accessories to be built using its new technology, so expect there to be a plethora of alternatives to Apple’s AirPower in due course. Apple hasn’t confirmed when the AirPower will be available beyond a rather vague “2018” nor how much it will cost, but we cannot imagine a world where it will be cheap. If they would update the apple battery cases to work with this tech…it would be a great seller for older models.